Nearly twenty years later I had the opportunity to swim with her for a few weeks, and was touched again by her enthusiasm. 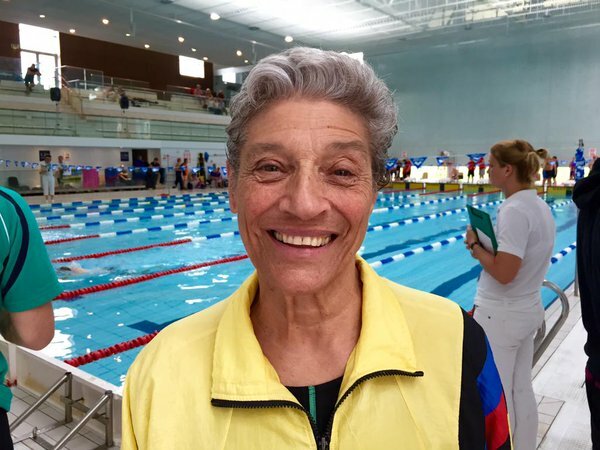 Inspired by her example, I always assumed I would continue to swim forever, and my consistent performance seemed to confirm that. But in my forties, after several years of competing in Olympic distance triathlons, and feeling fitter than ever, my right shoulder gave up on me. I was devastated. As an asthmatic I couldn’t use anti-inflammatory medication, and over the next few years none of the medical interventions I tried allowed me to swim without pain. It was only when I had to abandon a swim after a single length a few months after surgery that I realised for the sake of my emotional as well as physical health I had to try something radically different. That was when I discovered Total Immersion, and began to think differently about how my body works in water. Since then I have been inspired by others: Shinji, Terry Laughlin, and my own coach and mentor Tracey Baumann. I have now been a Total Immersion swimmer for 6 years, and my swimming future looks bright again.